Managing your firm with Excel? 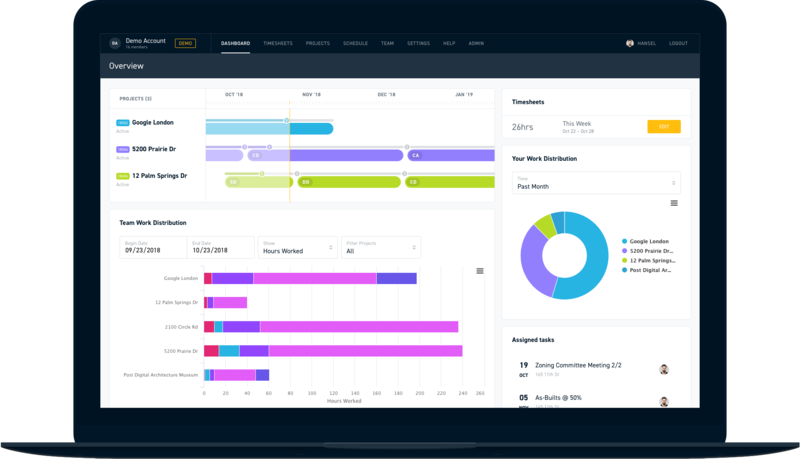 Making architecture is a highly complicated process, Monograph Dashboard combines all your typical Excel spreadsheets into one integrated and simple interface. 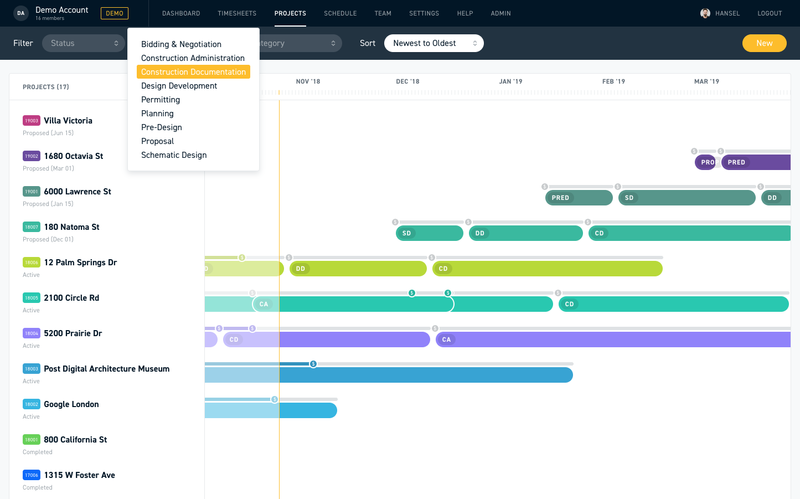 Manage projects and personnel across all phases seamlessly with our interactive gantt charts. Plan, execute and forecast better with an immediate snapshot of the whole firm and each project. Timesheets are tedious. 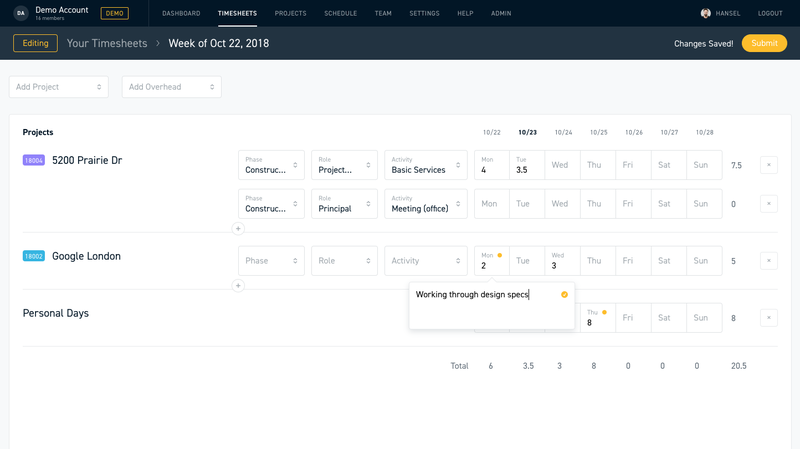 We make it easier by automatically infilling the projects and phases for each assigned employee. With accurate time data, you build reliable project forecasting. 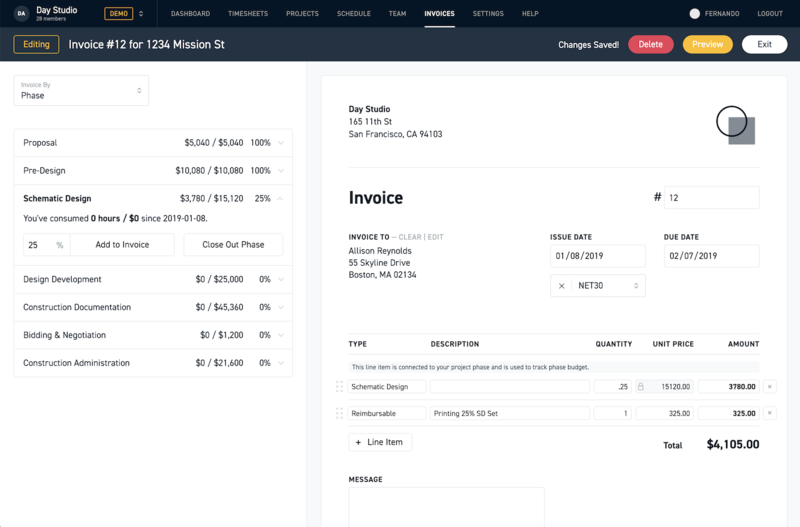 Select how you want to invoice from Monograph's Smart Invoicing Panel. Whether creating an invoice by Activity, Role, or Phase, you simply add your billable time right to the invoice. Simple as that. As trained architects, our team has worked with and built software for the biggest names in the AEC industry. Our products are used by millions of people around the world.